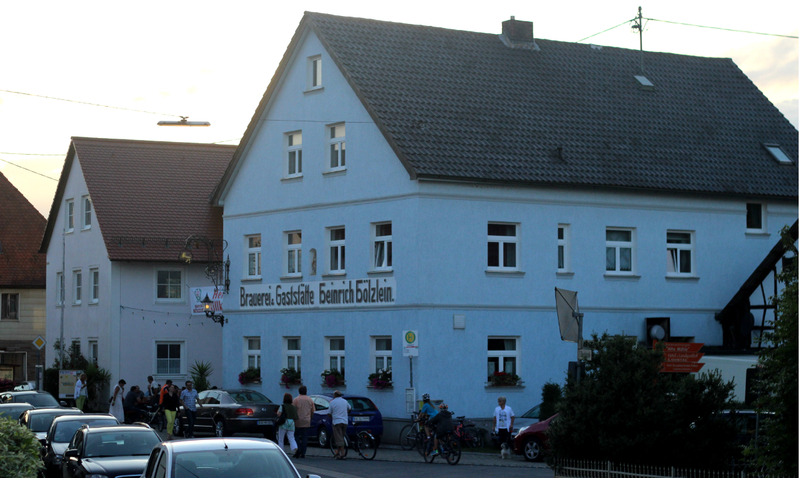 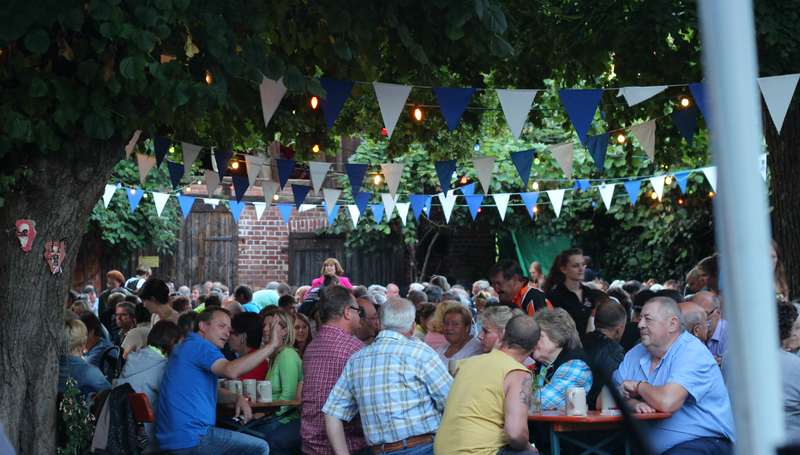 The Kirchweihfest of Lohndorf-Litzendorf filled the grounds of Brauerei Hölzlein on the night of August 10, 2014. 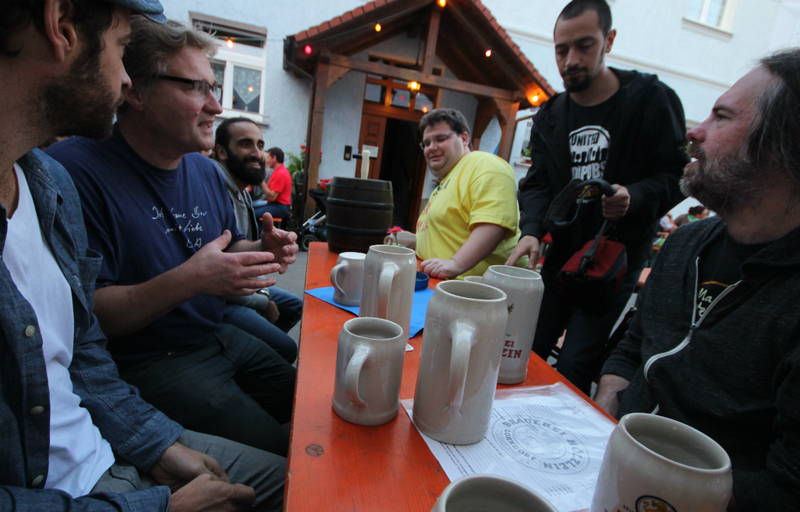 In addition to the standard Hölzlein Vollbier, a 10 liter gravity barrel of a new Kirchweihbier was given to our table to sample. 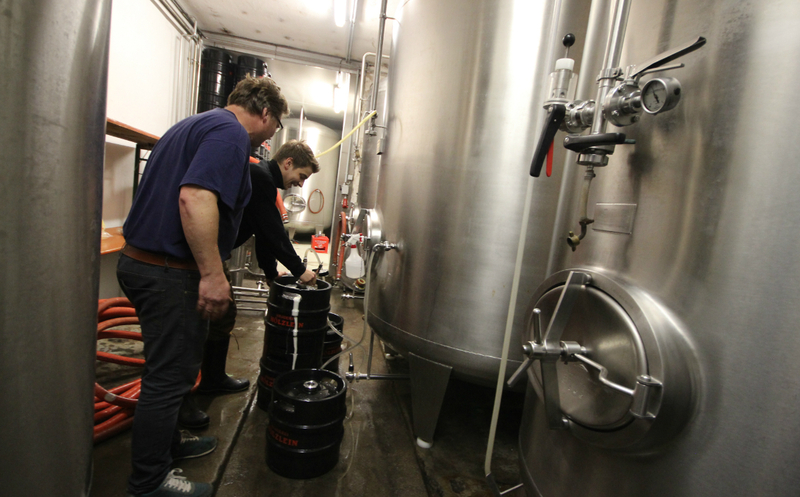 We were also treated to a young (approximately 3 weeks) version of a Czech-style Pils from the maturation tanks, which was still in need of additional fermentation, and as such was un-rateable. 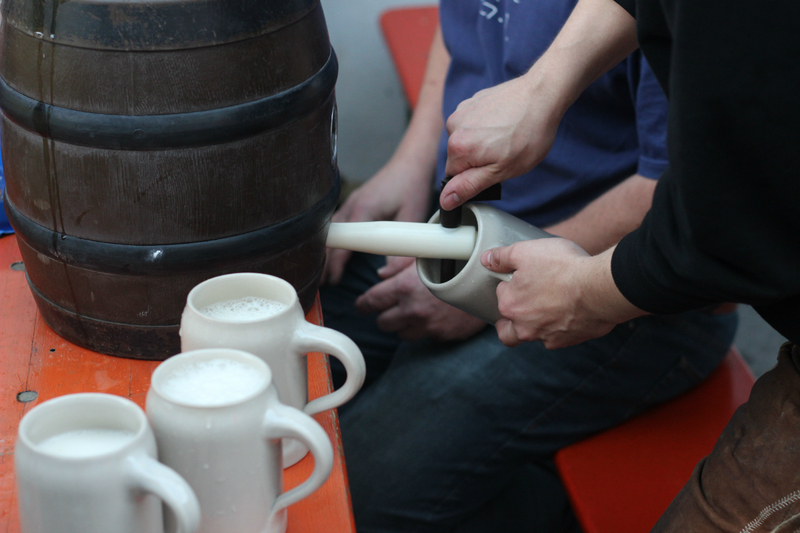 The braumeister Johann Hölzlein is the young son of the family, one of the youngest brewers in Franconia, with a taste for experimentation combined with a sense of tradition that no Franconian can do without.